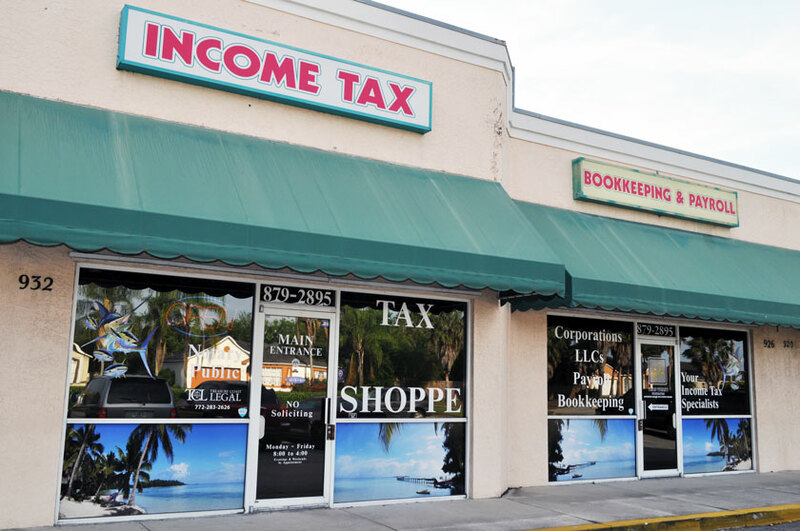 The Tax Shoppe is a family and veteran owned and operated small business here in Port St Lucie since 1991. Joe Edge is the owner and along with his brother Richard Edge have provided professional accounting and bookkeeping services as well as tax preparation services to the local community as well as clients nationwide. Our office is conveniently located at 932 SW Bayshore Blvd in the Tropical Shoppes Center in Port St. Lucie, FL 34983. We are convenient to St Lucie West, Crosstown Parkway and I95 and minutes away from anywhere in Port St Lucie. Some of the services we provide include Bookkeeping and Payroll Services complete with Workers Compensation Insurance if needed, Federal and State Income Tax Preparation of Personal, Corporate and LLC Tax Returns as well as Trusts and Estates and related tax returns. We strive to serve our clients in an efficient and timely manner and we provide the best advice and solutions, shaped by each client’s unique needs, to all of our customers, all of the time.